One of the National Folk Festival’s major spotlights this year will be on ACT artists. The ACT and Western Australia are the two featured jurisdictions at the National Folk Festival held over the Easter long weekend at Exhibition Park. 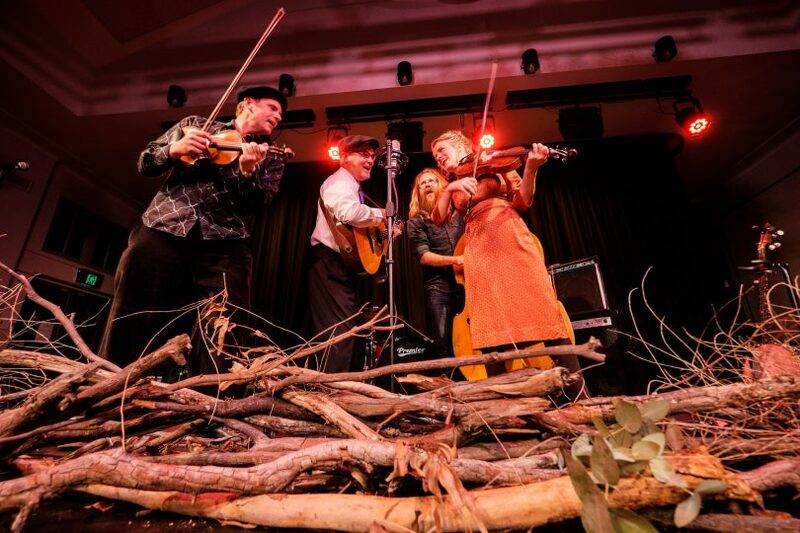 Three top Canberra acts have been slotted into the packed program – duo Guyy and the Fox, East Row Rabble and the Black Mountain String Band. In fact, Guyy and Amelia Gibson will be more a trio, with Taiko drummer Harry Cramer adding a Japanese beat to their violin, guitar and powerful vocals. The Black Mountain String Band – Donal Baylor, Jacqueline Bradley, Matt Nightingale and Pablo Shopen – combine multiple fiddles and banjos along with guitar and double bass, drawing on the traditional while adding timeless original material. An act that has Festival Director Pam Merrigan excited is East Row Rabble, described as a ‘slick mix of funk blues soul and reggae with upbeat party horn lines’, perhaps not your average folk festival sound, but that’s the point. Award-winning duo Guyy and the Fox. Folk isn’t a museum piece, she says, but “music of today and music of communities and peoples, and expression of who those communities and peoples are”. She says the aim is to show the diverse nature of folk music, with artists drawn from all over the world and many musical forms. “So you have a whole range of fantastic singer-songwriters who are shaping songs about things that are part of their communities, issues and views about all sorts of things,” she says. The Black Mountain String Band will get the feet tapping. Also interesting is to see an Australian folk legend in Mick Slocum of Bushwhackers fame returning with a new band and new sound in The Exciting! McGillicuddies. Ms Merrigan says it’s exciting to see a pioneer of Australian folk-rock coming back and being part of a new group that’s doing ‘totally different stuff in a really engaging way’. 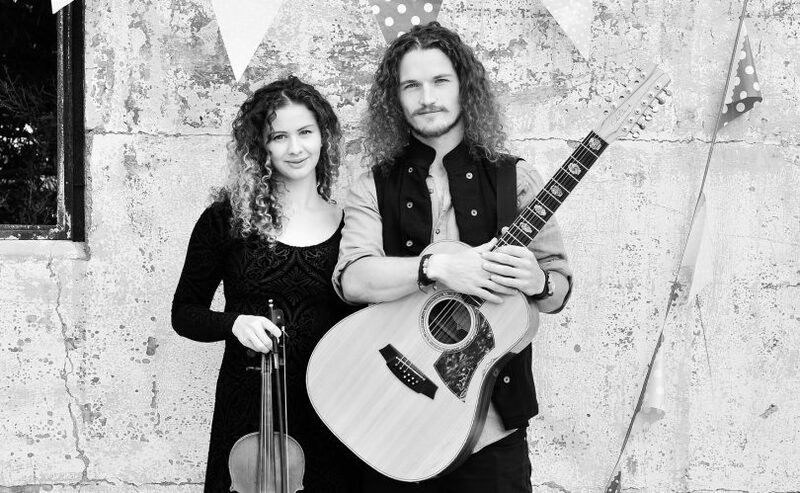 Trouble in the Kitchen’s Kate Burke has teamed up with mandolin player Luke Plumb and they will be launching their new CD at the National. The international bill so far includes artists from the US, UK, Greece,Italy and Canada including Irish Mythen (Canada), the UK’s award-winning Nancy Kerr with James Fagan, Italian world music group Riccardo Tesi & Banditaliana, Canadian singer-songwriter Ken Yates, renowned American guitarist Darol Anger and The Republic Of Strings, and an exciting collaboration between the acclaimed Glenn Skuthorpe and Canada’s First Nations artists on The Homelands Tour. The National’s 2018 revised footprint proved a success and will be retained for next year with some tweaks, including bumping up the capacity of the Fitzroy Pavilion from 600 to a little over 1000. This will give the festival two major fixed venues at either end of the site, the Budewang being the other at the Flemington Roadside. More designated dance venues are likely with bands like Scottish outfit Manran making a big impact last time in the Budewang with their contagious tunes. They’ll be back in 2019. Ms Merrigan says the National is always keen to attract a younger audience and the dance bands are popular. Some legal issues need to be sorted around the need for crowd barriers to ease the concerns of stage crews, but she is hopeful of getting another couple of late-night dance parties happening in 2019. The National Folk Festival, from 18-22 April 2019, promises more than 750 shows throughout 20 venues over its five days, a kids festival, themed bars, food and market stalls, roving entertainment and an engaging, multi-discipline arts program.